Photo: Our team was the first to respond to 13 villages in critical need of relief supplies. 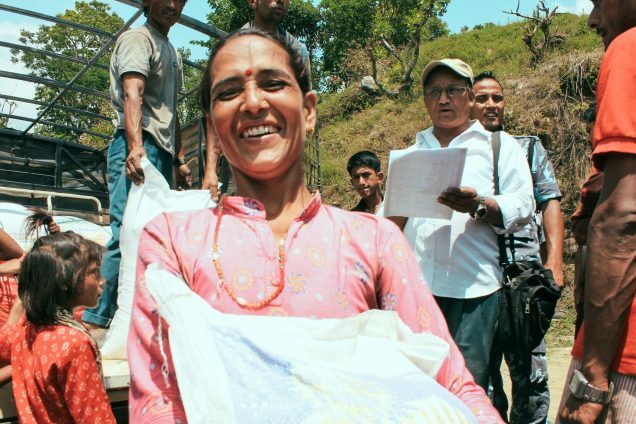 A brave survivor of Dhumkus village seen here receives rice and lentils. The people of Kathmandu, Nepal, continue to rebuild their lives after the devastating 7.8 magnitude earthquake that struck the region on April 25, 2015, which killed more than 8,800 people and injured more than 23,000. Hundreds of thousands of people were made homeless when entire rural villages were flattened across many districts of the country. A second major earthquake with a 7.3 magnitude occurred on May 12th causing significant loss of life and more destruction to homes, historic buildings, and major roads in Nepal. 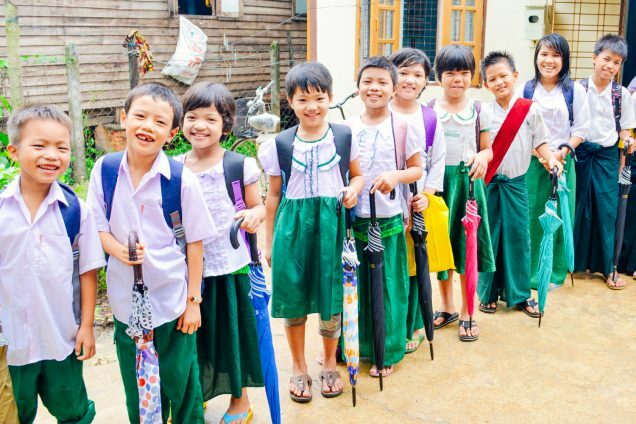 Photo: Our children are happy to have new umbrellas which will keep them dry on their way to school. We’re happy to report that our flood-proofing project for our main orphan home campus in Myanmar is now complete. This project included bringing in several tons of dirt to raise the entire level of the property along with a new brick perimeter wall to keep area rain-flow from pooling into our space. In addition to the flood-proofing project, we were able to make several repairs and improvements on the main buildings to help guard against the upcoming heavy rains of the monsoon season. This year, we are ready for the rain! 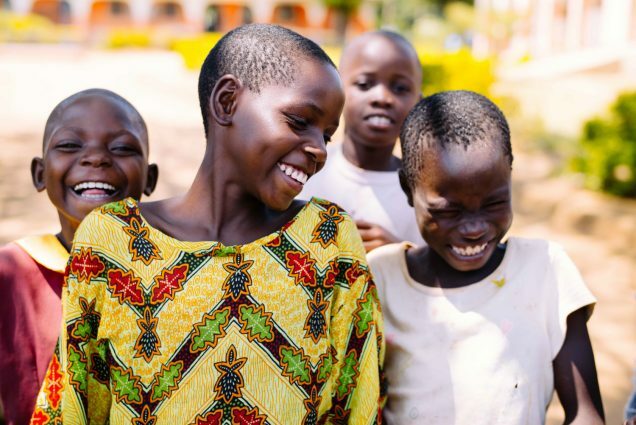 Photo: Girls at our Uganda campus are happy about the addition of the newly constructed orphan home. We are happy to report that our children in Uganda moved into their new orphan home in March 2015. They are very thankful — it is a completely new home built from the ground up. The previous rented facility was nothing more than a skeleton of a shelter with an outdoor kitchen and outhouse — it was very small, with no power or plumbing. The new home has 10 rooms: 4 bedrooms, 1 living room, 1 dining room, an indoor kitchen, a study room, and 2 bathrooms. Currently, five orphans are living in the new home with our director and his wife — they have adopted the children as their own in addition to their three biological children. Photo: Our girls are very happy to have the chance at an education, a luxury they did not have access to before arriving at their new home. 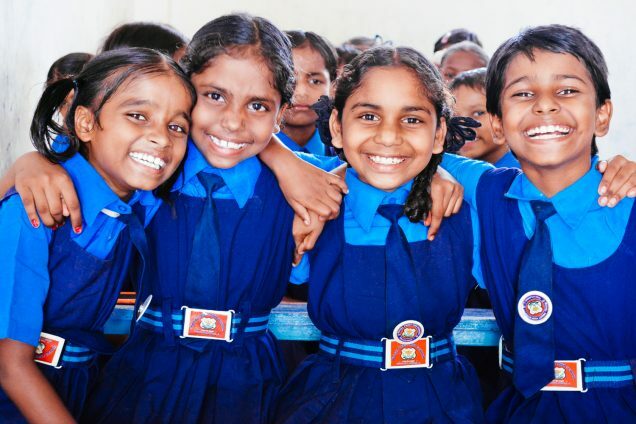 We are happy to report that all of our students from our orphan homes and slum outreach education center passed their exams, which means they will move up to the next grade level when school resumes in late June. We hope to expand our education programs to be a full K-12 equivalent school on our main campus — our goal this year is to add 10th grade course work to our students’ curriculum. In order to do this, we need to construct 9 new rooms, add some extra playground space, and acquire a school bus per government requirements. 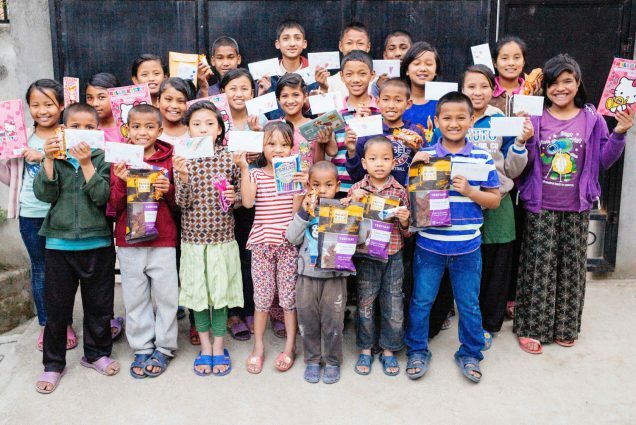 Photo: Children at our orphan home were ecstatic to receive food such as protein bars, along with coloring books and notes of encouragement sent from students in the U.S.
We are thankful to report that our Executive Director, Kirby Trapolino, and our friend Cody Moore arrived safely in Kathmandu on Thursday afternoon local Nepal time after a 36 hour journey. All of their bags and gear arrived as well, containing much-needed earthquake relief supplies such as water purification gear, protein bars and other dry foods, and first aid for our orphans, our human trafficking survivors, and our native team.